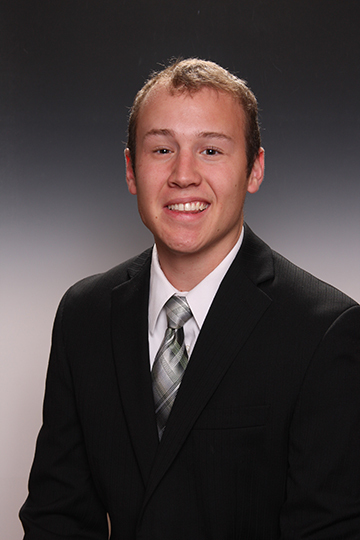 Jordan Bonham, of Washington Courthouse, Ohio, has been selected as one of 20 students to win the 2016 Outstanding Senior Award from the College of Food, Agricultural, and Environmental Sciences (CFAES) at The Ohio State University. Bonham, the daughter of Barry and Wendy Bonham, is a graduating senior in agricultural communication. She was actively involved in the Sigma Alpha Professional Agricultural Sorority, serving as a two-term president, and Alpha Zeta Partners Honorary, through which she completed a 6-week study abroad to Brazil. Bonham was also involved with Agriculture Future of America. After graduation, she will be working as a Farm Marketer for Cargill located in Albion, Nebraska. Demi Snider, of Sycamore, Ohio, was named one of 20 students to win the 2016 Outstanding Senior Award from the College of Food, Agricultural, and Environmental Sciences (CFAES) at The Ohio State University. Snider, the daughter of Dave and DeDe Snider, is a graduating senior in agricultural communication. She was a member of Collegiate Cattlewomen of Ohio State and Collegiate Young Farmers. During her time at OSU, she served as an Ohio Beef Ambassador and a National Beef Ambassador where she traveled the state and country educating consumers and promoting beef. 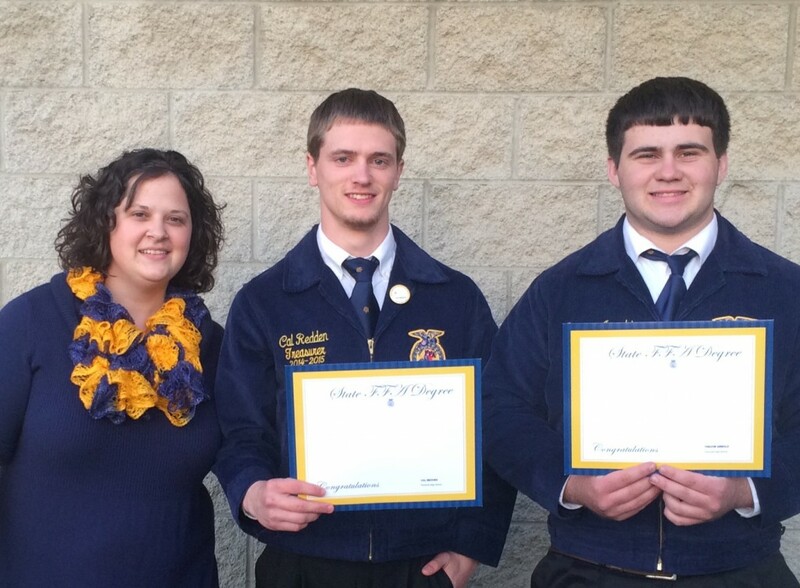 After graduation, Snider hopes to develop a youth agricultural education program within county extension offices. Brooke Rieke Schanowski, of Winfield, Illinois, was named one of the 2016 Outstanding Senior Award recipients from the College of Food, Agricultural, and Environmental Sciences (CFAES) at The Ohio State University. Schanowski is the daughter of Mark and Susan Schanowski. She will earn her degree in agricultural communication and after graduation she plans to become an on-air meteorologist. 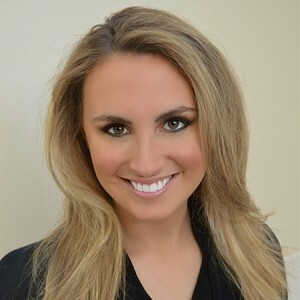 Rieke Schanowski’s notable experience during her time at Ohio State include serving as a college ambassador, a University Peer Mentor, participating in the Media, Marketing, & Communications Scholars Program, and working as an On-Air Meteorologist for Lantern TV. The Outstanding Senior Awards were presented at the CFAES Recognition Banquet on April 17, 2016. Devon Alexander, of Anna, Ohio, has been selected as one of 20 students to win the 2016 Outstanding Senior Award from the College of Food, Agricultural, and Environmental Sciences (CFAES) at The Ohio State University. Alexander, the son of Jeff and Lori Alexander, is a graduating senior in agricultural communication. He has been active in Agricultural Communicators of Tomorrow, the College Student Council, Buckeyethon, College Ambassadors, and FarmHouse Fraternity. Alexander was on Ohio State’s Homecoming Court for 2015 and interned with the Office of Student Life. CFAES Outstanding Seniors of 2004 and 2005; Where are they now? Each year the College of Food, Agricultural, and Environmental Sciences recognizes 20 outstanding seniors at the annual recognition program. Join us in taking a look back of the outstanding seniors from our department over the past few years. In 2004, the Department of Human and Community Resource Development (now called Agricultural Communication, Education, and Leadership) had seven seniors recognized by the College. 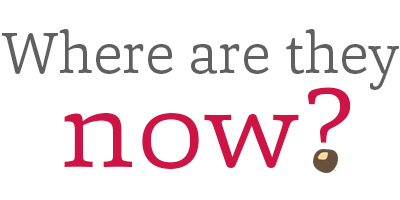 Take a look at where their careers have taken them after their time at The Ohio State University. Majoring in both agricultural communication and Spanish, Endsley graduated in 2004 with her bachelor’s degree. Following her graduation from Ohio State, she earned her Master’s of Education, Policy and Management from Harvard University. 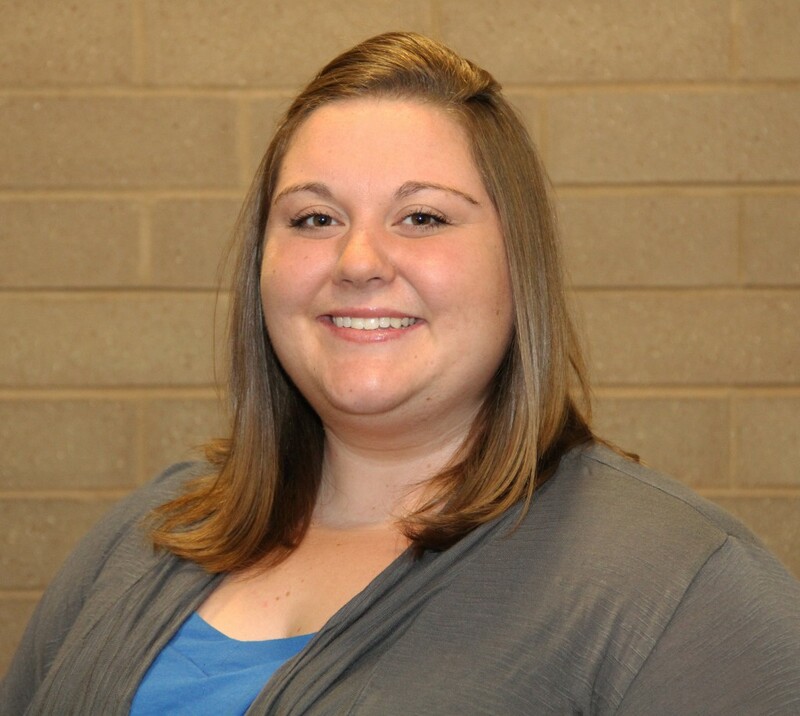 Endsley is currently located in Fairfield County, Ohio as the Program Manager for Ohio, FFA. 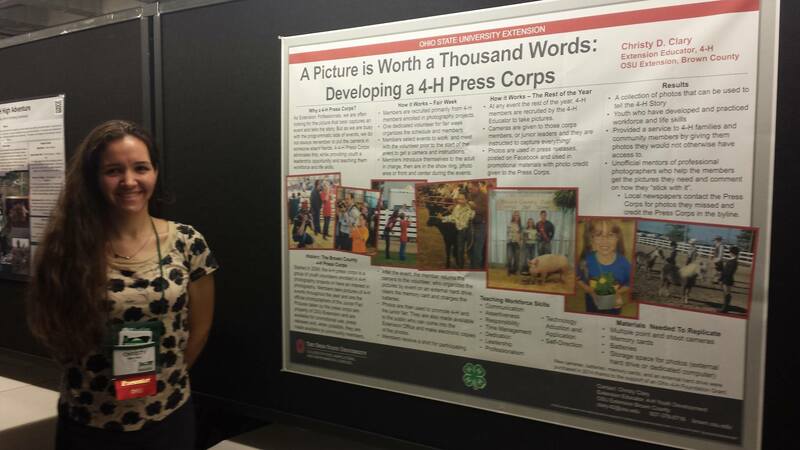 Kelsey Hall majored in agricultural communication while a student at Ohio State. 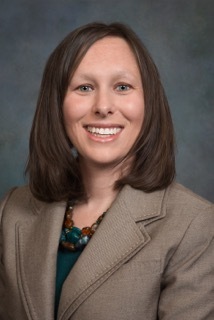 She is now located in Logan, Utah as an assistant professor of agricultural communications at Utah State University. She is also directing an undergraduate program in agricultural communication and journalism, with the advising of the Agricultural Communication Club. Hall is conducting research with both graduate and undergraduate students. In 2005, the Department of Human and Community Resource Development (now called Agricultural Communication, Education, and Leadership) had seven seniors recognized by the College. 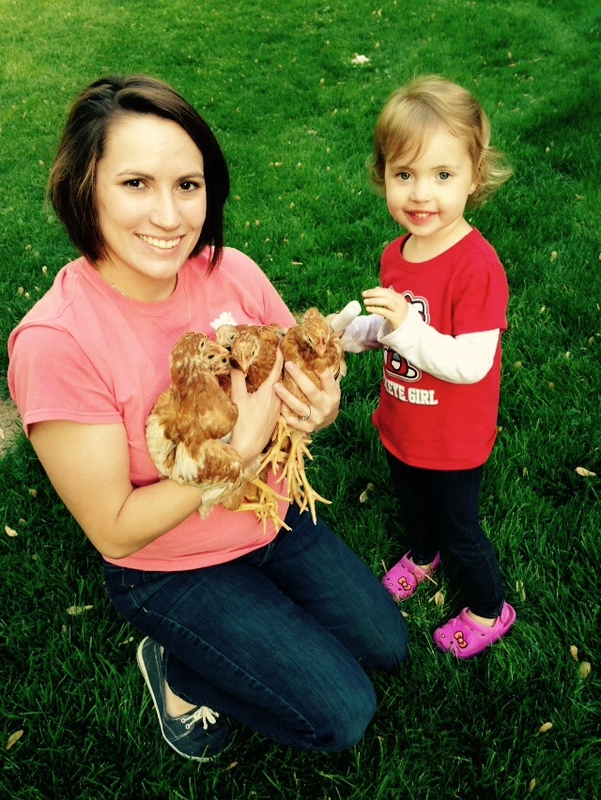 Lucy Bambauer graduated with her bachelor’s degree in Agricultural Education. She is now employed as the Agricultural Education Instructor at St. Mary’s Memorial High School, in St. Mary’s, Ohio. If you are a current senior and interested in applying to be an outstanding senior in CFAES, the application form for the 2016 Outstanding Senior Award is now available at http://go.osu.edu/cfaes-outstanding-senior. To qualify for consideration, applicants must have a 3.00 cumulative GPA at the time of application and be graduating during the 2016 calendar year. Selections are made based on the applicant’s record of scholarship, leadership, professional and personal growth and involvement in the community, both within OSU and beyond. The deadline for applications is December 16. All applications will be reviewed in January. A group of students will be selected, from all who apply, to interview with the selection committee in February. The group of Outstanding Seniors will be recognized at the CFAES Recognition Program on April 7, 2016. Contact Dr. Marilyn Trefz (.2) should you have questions. CFAES Outstanding Seniors of 2006 and 2007; Where are they now? Graduating in 2006, Rob Brokaw earned his bachelor’s degree, majoring in Agricultural Education. Currently located in Zanesville, Ohio, is now and Ag Teacher/FFA Advisor in New Lexington Middle School. Brokaw is also a hunter safety instructor, coach, father, husband, and a farmer. Majoring in Agricultural and Extension Education, Marlene Eick earned her bachelor’s degree in 2006. She is now located in Radnor, Ohio as the co-owner of Herdmark Media. There were eleven students from the Department of Human and Community Resource Development (now Agricultural Communication, Education, and Leadership) recognized as Outstanding Seniors at the 2007 CFAES Annual Recognition Program. 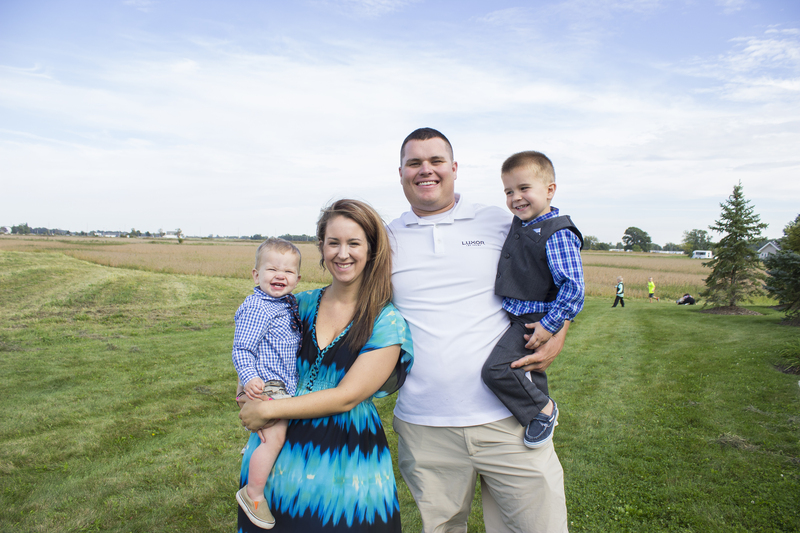 Graduating in 2007, Mike Derringer majored in Agricultural Education. He is now living in Oxford, Ohio, employed with Talawanda High School/Butler Technology CDC. Since graduation, Derringer married Alison (Gentry) Derringer in 2009, has had two children, Miranda and Audrey, with a third on the way! He is also active in Preble County Farm Bureau, West Elkton United Methodist Church, and is an OHSAA football referee. He loves his career and would like to give credit to CFAES and HCRD for getting him started. 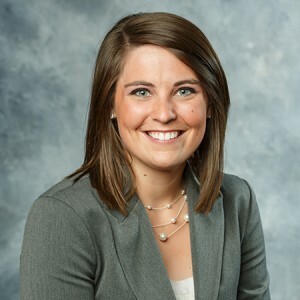 Leah Curtis graduated with a degree in Agricultural Communications in 2007, and is currently employed as the Director of Agricultural Law at the Ohio Farm Bureau Federation. 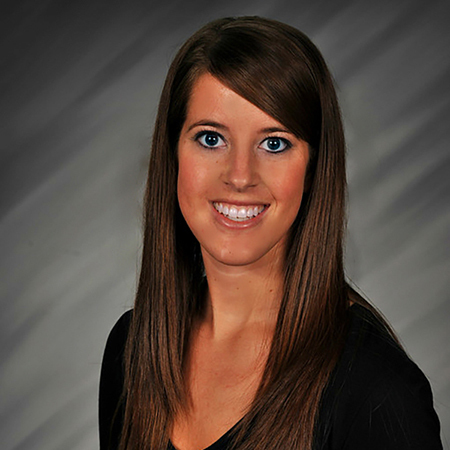 Located in Columbus, Ohio, Leah oversees the legal policy activities of Ohio’s largest general farm organization. Her favorite part of the job is coordinating OFBF’s involvement at the Ohio Supreme Court as an amicus party in cases that could have substantial effect upon agriculture. Leah is married to another ACEL graduate, Ryan Curtis, and has one child. Majoring in Agricultural Education, Cassandra Palsgrove earned her bachelor’s degree in 2007. She then continued to further her education and earned her master’s degree in 2010. She taught Agricultural Education for six years, before heading to Columbus to work with state level programming. 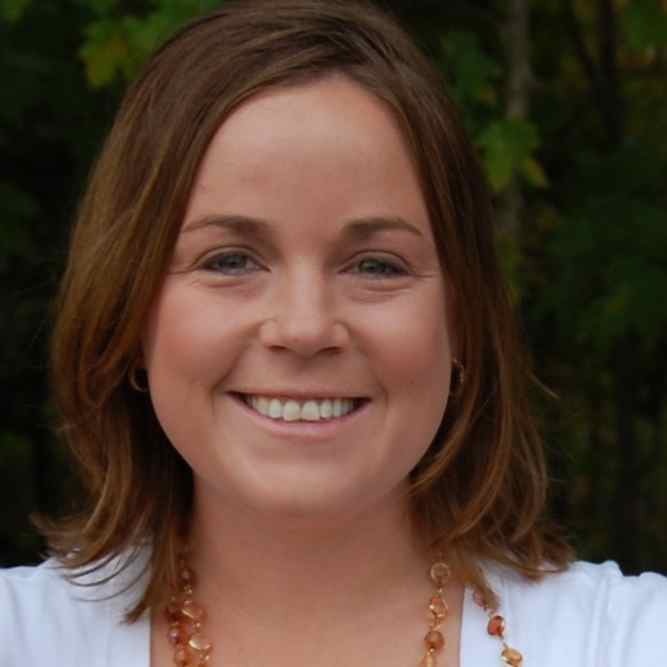 She is now located in Pickerington, Ohio as the Agriculture and Environmental Sciences Education Program Specialist with the Ohio Department of Education. She has been happily married to Brent Palsgrove since 2009 and they have two children, Carter (age 5) and McKinley (age 3). 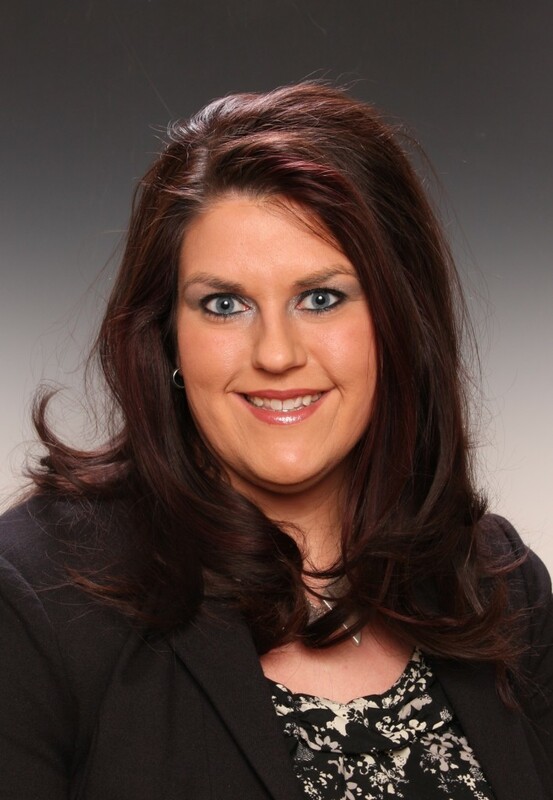 Laura Ringler majored in Agricultural Education and earned her bachelor’s degree in 2007. She is now an Agricultural Educator, in Shelby, Ohio, and an FFA Advisor at Plymouth High School. Earlier in 2015, Ringler was also selected at the 2015 Ohio Association of Agricultural Educators as an Outstanding Young Member. Laura Stacklin Ringler and two of her agricultural education students. 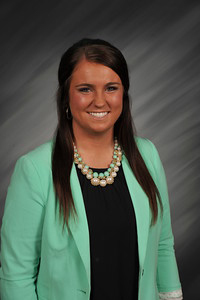 Emily graduated with a degree in agricultural communication and now resides in Grandview Heights, Ohio and is the student service coordinator for the Department of Agricultural Communication, Education, and Leadership at Ohio State. She also advises several student organizations. In the past 8 years, Emily has spent her personal time crossing items off of her ‘bucket list’ including running half-marathons and traveling to new cities around the country. Her current office in Agricultural Administration was her academic advisors office when she was a student. CFAES Outstanding Seniors of 2013; Where are they now? Graduating with his bachelors’ degree in 2013, Derek McCracken majored in agricultural education. He is now an agricultural education instructor and FFA advisor at Hardin – Houston Local School. To further his education, McCracken has also begun a masters program in school counseling and will be getting married in August of 2016. Nicole graduated with a degree in agricultural education. 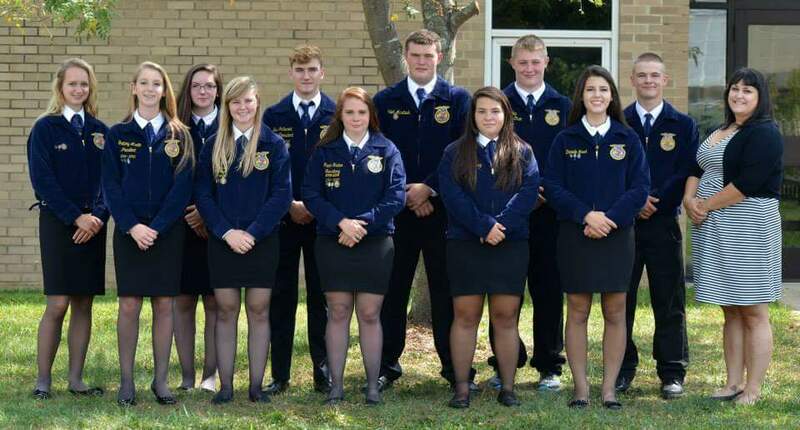 She is now in her third year of teaching junior high and high school agricultural education and advising the FFA Chapter at Riverdale Local Schools. In addition to teaching, she is also a District 4 membership co-chair and treasurer of the Riverdale Education Association. CFAES Outstanding Seniors of 2008; Where are they now? Each year the College of Food, Agricultural, and Environmental Sciences recognizes 20 outstanding seniors at the annual recognition program. In 2008, 12 students from the Department of Human and Community Resource Development (now Agricultural Communication, Education, and Leadership) were recognized as an outstanding seniors. Join us in taking a look back at the outstanding seniors from 2008 and where they are today. Graduating in 2008 with her bachelor’s degree, Christy Clary majored in agricultural communication. Located in Brown County, she is currently employed as the Extension Educator, 4-H Development and County Extension Director for OSU Extension Brown County. Since graduating, she has had the opportunity to work in Washington D.C., Texas, Wisconsin, and throughout Ohio with youth related programs and camps. Recently, Clary received her master’s degree in Youth Development and Agricultural Education in 2013 from Purdue University. Earlier this year, she also began a PhD program in Agricultural Communication, Education, and Leadership. 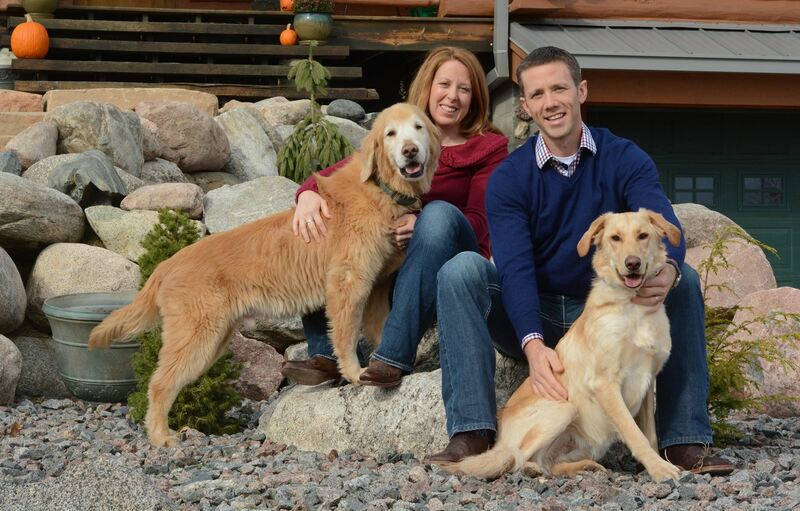 Earning her bachelor’s degree in 2008, Jody majored in agricultural education. She is now located in Columbus, Ohio as the Director of Alumni Engagement for the College of Food, Agricultural, and Environmental Sciences at The Ohio State University. CFAES Outstanding Seniors of 2009-2010; Where are they now? In 2010, three students from the Department of Human and Community Resource Development (now Agricultural Communication, Education, and Leadership) were recognized as an outstanding seniors. Join us in taking a look back at the outstanding seniors from 2009 and 2010 and where they are today. Graduating in 2009 with her bachelor’s degree, Cassaundra Dietrich majored in Agricultural Communication and minored in Animal Sciences. After completing her undergraduate education, she lived in Rome, Georgia for more than a year before moving back to her hometown. Dietrich is now a graphic designer at Main Graphics in Urbana, Ohio and is working towards her Master of Sciences in Agricultural Communication. She is also studying in the College of Food, Agricultural, and Environmental Sciences’ Department of Agricultural Communication, Education, and Leadership under the advisement of Dr. Emily Buck and will eventually earn her Ph.D. Outside of academics, Dietrich is a mother of two (Gavin, age 5 and Eloise, age 3) and is also raising a backyard flock of eleven hens. She and her husband, Shane (whom she met at Ohio State) live in Northwest Ohio. He works as the show pig manager for Tom Moyer & Family, which is a boar stud and show pig operation in Wauseon, Ohio. They have one son, Meyers. Whittney earned her bachelor’s degree in 2010, majoring in agricultural communication. 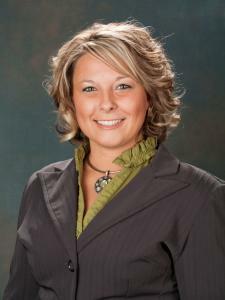 Currently residing in Amanda, Ohio, Bowers is the Director of Grassroots and Political Outreach at Ohio Farm Bureau. Recently, she and her husband welcomed their first child, a happy little boy named Raylan! Majoring in agricultural education, Meredith earned her bachelor’s degree in 2010. She is now located in Oregon, Ohio, teaching agricultural education at Clay High School. Since graduating, Wolfe has gotten married, taught at three different schools and has had two baby boys! Callie graduated with a degree in agricultural communication and complex her master’s in 2012, also in agricultural communication. She now works for Ohio Farm Bureau as a communication specialist in downtown Columbus, where she does everything from news and feature writing to photography and video editing, but her main focus is on digital communication and strategy. She manages the website and social media accounts and coordinates communications for the Young Ag Professionals. If you are current senior in the College of Food, Agricultural, and Environmental Sciences, the application form for the 2016 Outstanding Senior Award is now available at http://go.osu.edu/cfaes-outstanding-senior. To qualify for consideration, applicants must have a 3.00 cumulative GPA at the time of application and be graduating during the 2016 calendar year. Selections are made based on the applicant’s record of scholarship, leadership, professional and personal growth and involvement in the community, both within OSU and beyond. The deadline for applications is December 16. All applications will be reviewed in January. A group of students will be selected, from all who apply, to interview with the selection committee in February. The group of Outstanding Seniors will be recognized at the CFAES Recognition Program on April 7, 2016. 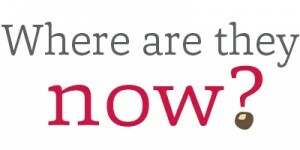 Contact Dr. Marilyn Trefz (.2) should you have questions.